It'd been awhile since I had actively seen Millennials be accused of anything. I was starting to think we got it out of our system. But then, Google sent me an alert. We've taken out primary care physicians. Before I even get into what we allegedly did, I just want to say primary care physicians have taken themselves out. But, let's get into this. It turns out, Millennials opt to go to urgent care instead of making an appointment with a regular doctor. I'm not going to lie - I am one of those Millennials. 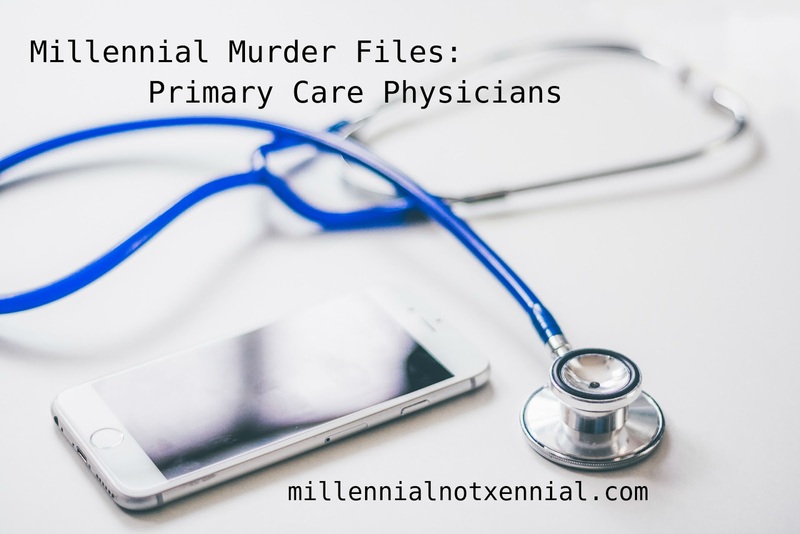 Unlike other Millennials, I do have a primary care physician - I just don't know who, and I've never seen them. However, it also turns out all age groups have been seeing their regular doctor less, as tends to be the trend when Millennials murder something. So this leads me back to my original point - primary care physicians have taken themselves out. And not just because of inconvenience. Let me tell you a story. My mom works at a hospital, so my health care when I was a teenager was really, really good. I would have gone to a doctor for a stubbed toe - if they would have seen me. In my teen years, I had three ear infections, ring worm, the flu, some weird intestinal thing, and a sprained ankle. I couldn't even make an appointment with a doctor. I tried. They said no. I had to go to urgent care every single time. And now, as an adult, I don't even bother with the primary care physician. They took that right out of me. Hi ho, hi ho, it's off to urgent care I go. When you have a system where nobody can see their doctor, don't be surprised when they don't. In conclusion, this is a situation where primary care physicians killed themselves - and tried to blame Millennials for it.